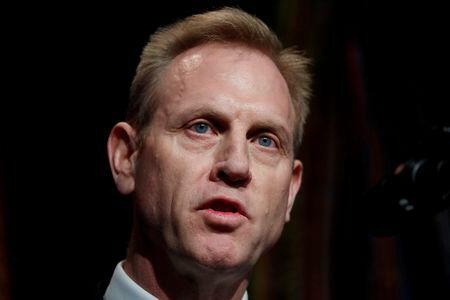 BRUSSELS (Reuters) - Acting U.S. Defense Secretary Patrick Shanahan sought to reassure nervous NATO allies on Thursday that any potential U.S. troop withdrawal from Afghanistan will be done in a coordinated fashion, which could calm European concern about a precipitous drawdown. Both the hardline Islamist movement and the United States hailed progress after the end of the last round of negotiations last month, although Western diplomats familiar with discussions say that many tough hurdles lie ahead. Shanahan said he told his NATO counterparts that the U.S.-led alliance would work together to increase what he called diplomatic leverage over the Taliban as the West seeks a political settlement. "There will be no unilateral troop reduction, it will be coordinated," Shanahan told reporters following his first meeting of NATO defense ministers after his predecessor quit in December. "We came out of here much stronger and coordinated." In his State of the Union address last week, President Donald Trump said progress in negotiations with the Taliban would allow a reduction in the approximately 14,000 U.S. troops currently in Afghanistan and a renewed focus on counter terrorism. Taliban negotiators will meet their U.S. counterparts on Feb. 18 in Pakistan's capital Islamabad. U.S. officials have told Reuters the military is planning what a withdrawal of about half of the 14,000 U.S. troops in Afghanistan would look like. That has raised concerns about whether a smaller force would be able to support the Afghan military and whether other European armies that rely on American helicopters and other gear would pull out. Concern was also fueled by Trump's abrupt announcement last year that he would withdraw U.S. forces from Syria. Despite public fatigue in Western countries about their involvement in the 17-year conflict, European governments including Germany are wary of withdrawing from Afghanistan before a peace deal with Taliban militants is reached. Many fear seeing the country collapse and then having to send troops back in again to deal with a new threat. U.S. special envoy Zalmay Khalilzad briefed NATO envoys on Monday about his push to agree a political settlement and NATO Secretary-General Jens Stoltenberg promised the alliance would draw down its military presence together if a deal was agreed. "We work together, President Trump said it is an opportunity for peace ... so what we talked about was how do we double down in our support for an Afghan national defense and security forces to put even more pressure on the Taliban," he told reporters. "I feel really good about our alignment I feel we are creating the diplomatic leverage that Ambassador Khalilzad needs." The U.S. troops in Afghanistan are part of a NATO-led mission known as Resolute Support, and a U.S. counter-terrorism mission largely directed against groups such as Islamic State and al Qaeda. Some 8,000 troops from 38 other countries are participating in Resolute Support.